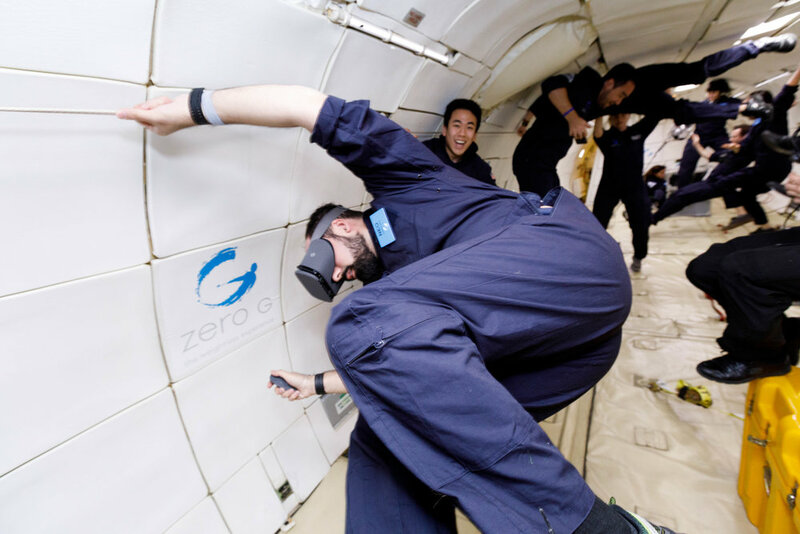 Fortunately, I get to play astronaut in Zero Gravity fairly often and I want to share some of the impressive concepts and ideas that I documented on the research flight. Faith in Humanity fully restored! Maria Zuber and postdoc Noelle Bryan had an EAPS experiment aboard as well, developed with colleague Christopher E. Carr. 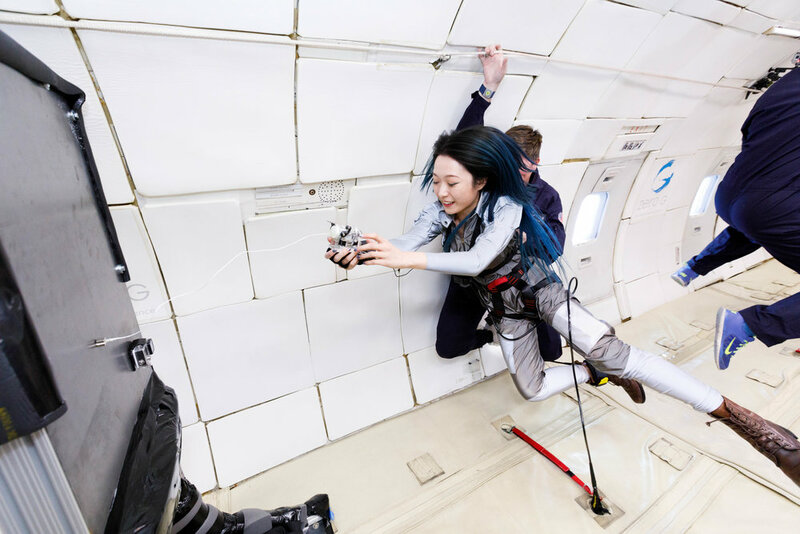 They were the first group ever to sequence DNA at lunar and Martian gravity, and are now developing a life detection device that they hope to send to Mars one day. The experiment was a great success, reports Bryan, and they're writing up the results for peer review. "The brain uses space to index, organize, and retrieve memories. However, our sense of space depends on our perception of gravity". 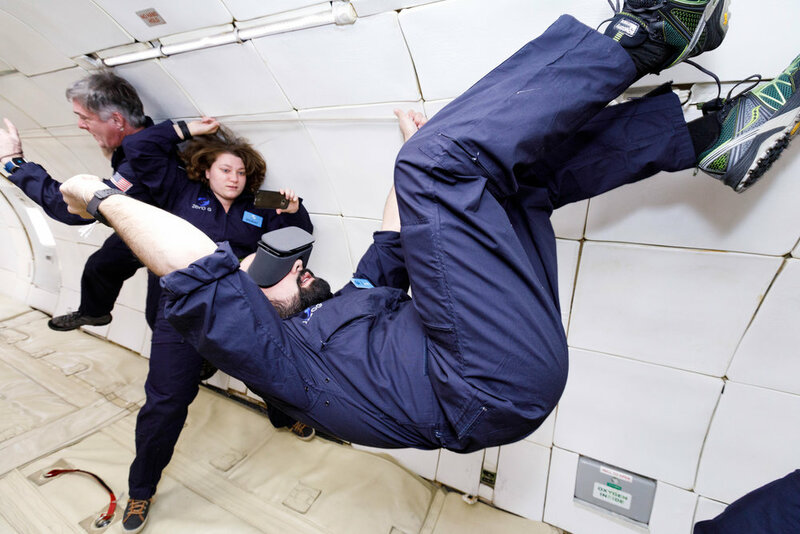 MIT Research Assistant, Neo (Mostafa) Mohsenvand tests the effect of altering gravity on human memory with a virtual reality experience that exposes the user to a sequence of small random mazes under different gravitational conditions. ← Social-media influencers for the University of Miami.